The greatest cricketer as well as a sportsman of all time, Sachin Ramesh Tendulkar, also known as Tendlya, Little Master, The God of Cricket and many other names, is a legendary player. The way he played his game, his passion, hard work and many other characteristics are a source of great lessons to be followed in life. However, there are many facts that can be used by bloggers as a lesson to make an improvement in the quality of their blogs and hence, gain more success for his brand or a blog. 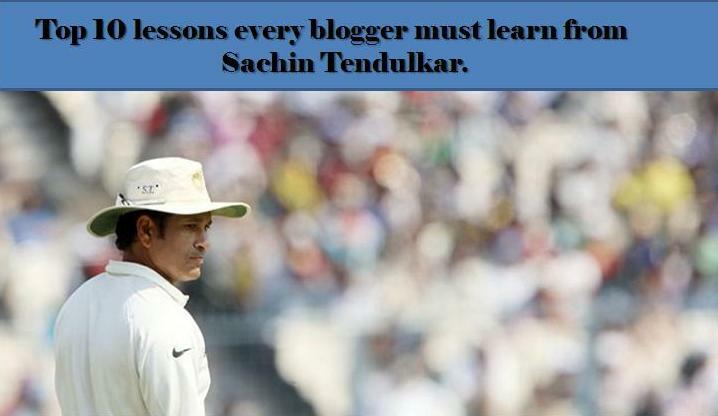 The top 1o lessons that the 24 year career of The Master Blaster taught a blogger are discussed as below. 1.Perfection comes with refinement and adaptability: No one is perfect by birth, neither Sachin was. The master mastered the perfection of his game with time and showed everyone that being perfect is not a day’s task. He dedicated 24 years of his life to the cricket, during which the game changed a lot, but he improved himself with practice and adapted to the new environment. So, a blogger needs to adapt him to changing search engine content guidelines and refine his techniques to achieve perfection in his writing. 2.Consistency: Sachin faced many downfalls, faced many hardships but still he managed to play a consistent game. No matter what the situation was, his every shot was a classy and unique that defined his gameplay. Thus, he always maintained consistency and created an image of the cricket master in the minds of other players and spectators. Even as a blogger, consistency is equally important in terms of performance of a brand, in order to meet customer’s expectations. Thus, a blogger’s work must define the consistency of the brand. 3. Hard Work always pays: Laziness isn’t the characteristic of a legend and that is completely defined by Sachin and his hard work. He had been guided by his coach to practice with three distinct teams prior to the final game to improve his skills. He practiced thoroughly before his every match, be it his first or the last against the best or the worst team. He never practiced with the opponent in his mind, rather set his own goals and worked hard to achieve them and his records prove it. 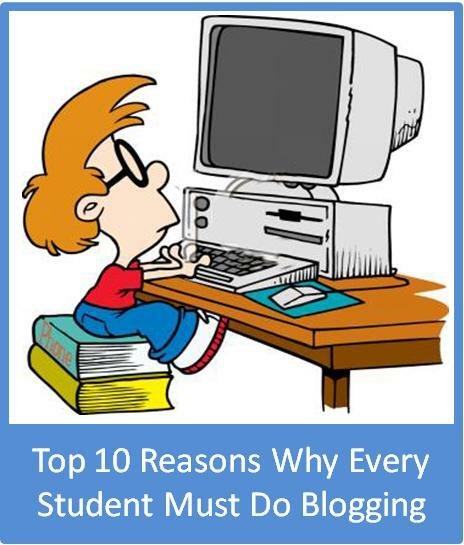 So, a blogger needs to put in his hard work prior to writing a blog in his research for valuable information. Research based blogs define a perfectness and thus, attract more readers naturally. 4. Commitment & Dedication: Another important characteristic of the God of Cricket was his passion towards his game that defined his commitment and dedication. The fact that he returned to the field and scored a ton, when his father died, shows his dedication towards his game. A well-maintained blog needs same dedication and passion towards writing and commitment towards the work. So, as a blogger, you must offer a pure dedication towards your work to achieve unmatched results. 5. Know What to Leave: The judgment of every ball and the decision of whether to play or leave helped Sachin Tendulkar achieve unimagined targets. He never played a rough game and left all the balls that could have prevented him from achieving his records. It is important to include positive content in a blog, but it is more important to leave behind the negative content. Thus, a blogger must have an equal knowledge of what to exclude in order to avoid a negative feedback. 6. Constant Learning: If Little Master had adhered to the cricket style that he began his career with, he wouldn’t have achieved all the goals that are seen as unachievable targets by others. He preferred learning till the last day and ended his career with a unique record of winning the last game of every format. A blogger needs to learn new things with the changing trends, irrespective of his experience or the blog size to offer the necessary level of quality. 7. Humbleness: Whether he left the field due to a biased decision or after making a record, he always stayed calm, humble and polite and lived a down to earth life. A blogger needs to stay calm and show humbleness, while responding to both good and bad comments. Always try to respond to the readers with a comforting and gentle reply instead of arguing. 8. Be Responsible: During his captaincy, Sachin faced a number of defeats but he never blamed the pitch, players or gave any lame excuses. He always took the charge of the defeat and worked with his team to make improvements to cut out all the weak points. A responsible blogger attains more loyalty from readers than an irresponsible one. So, if you are on the wrong side, don’t hesitate to take the charge and provide an assurance for the resolution to your readers/customers. This will give them a reason to stay. 9. 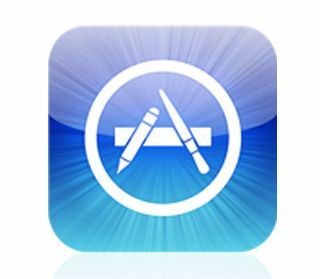 Respond with your Work: Criticism is always there for legends, to which, the master always replied with his bat. He has been dismissed as a duck for 34 times, while giving a bad performance many times, which attracted many critics against him and forced him to take a retirement. But he never responded with his words, rather provided them a reason to support him as a player in a great form. Similarly, criticism is associated with a brand and its blog also, to which a blogger must respond to the quality of his work, instead of making any rude statement. 10. Stand Out & Lead: Sachin never looked up to already created records, while he created his own goals and successfully achieved those. Due to this approach, he became the first cricketer to score an individual double ton in ODI format, century of centuries in international cricket, maximum individual runs and many other records, setting targets for others to follow. As a blogger, you must focus on improving the quality of your brand rather than following what others have been doing. This helps you set new milestones in your field. Thus, the above mentioned lessons define Sachin’s success mantra, which a blogger should follow to attain a consistent success.